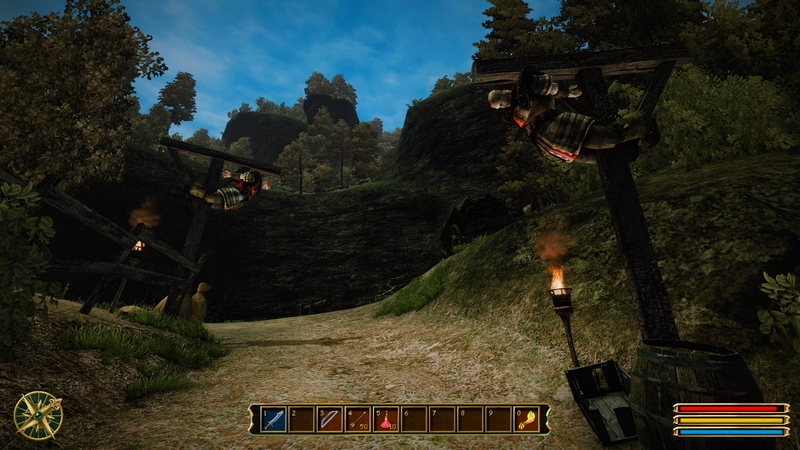 Gothic 3 is an open-world RPG masterpiece from 2006, developed by Piranha Bytes. 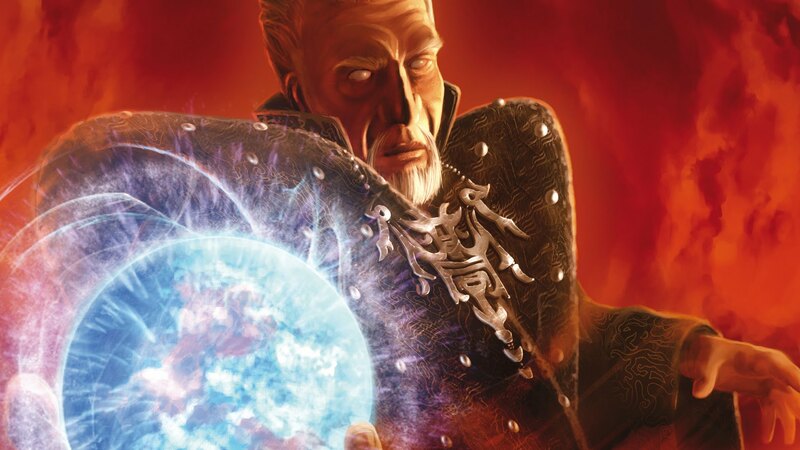 It's the last and best game in the Gothic series, unless you count Arcania, which was suppose to be a follower, developed by Spellbound Entertainment in 2010, which did a very poor job at continuing the Gothic series. 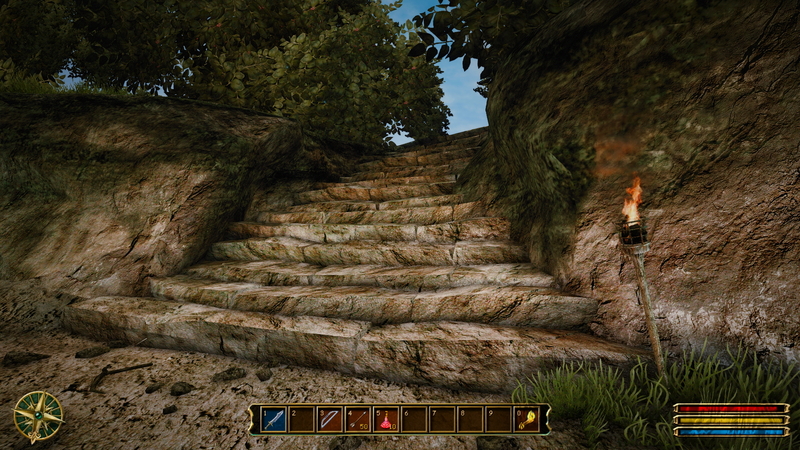 Gothic 3 was ahead of it's time back in 2006, but today it's age has caught up with the graphics & effects. 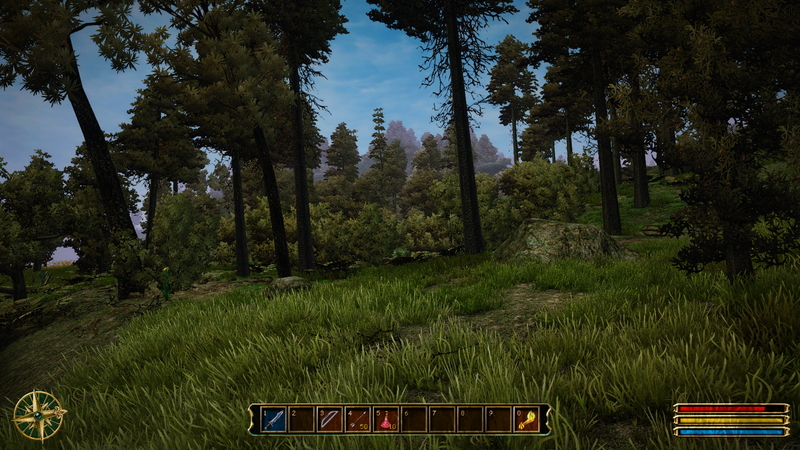 This project will greatly improve the games visuals, and optionally add content and fix errors. 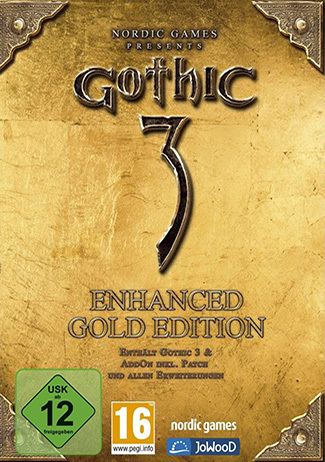 The Gothic 3 Enhancement Project (G3EP), is a small guide on how to greatly improve the visuals & effects, along with some game-play tweaks, content additions and fixes. No experience needed. 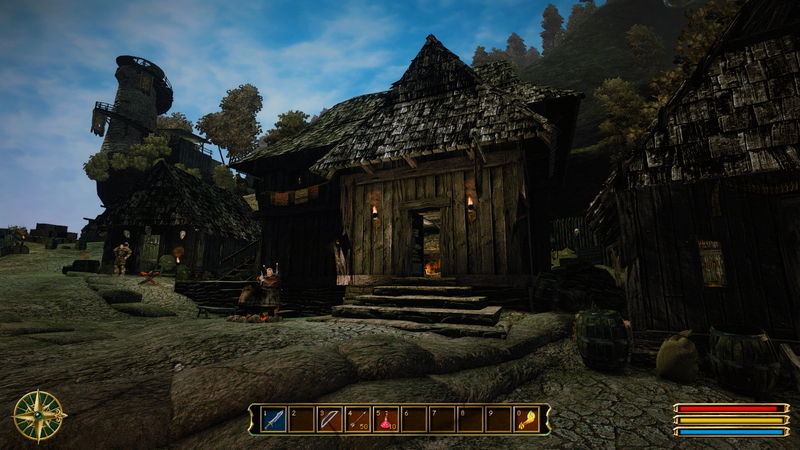 The G3EP also offers a unique graphical ReShader for vibrant and improved atmosphere, lighting, colors and clarity. 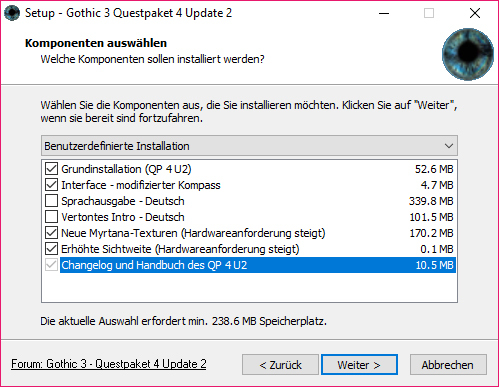 *The installer is in German. See pictures below for recommended selections, if German is not your strong side. 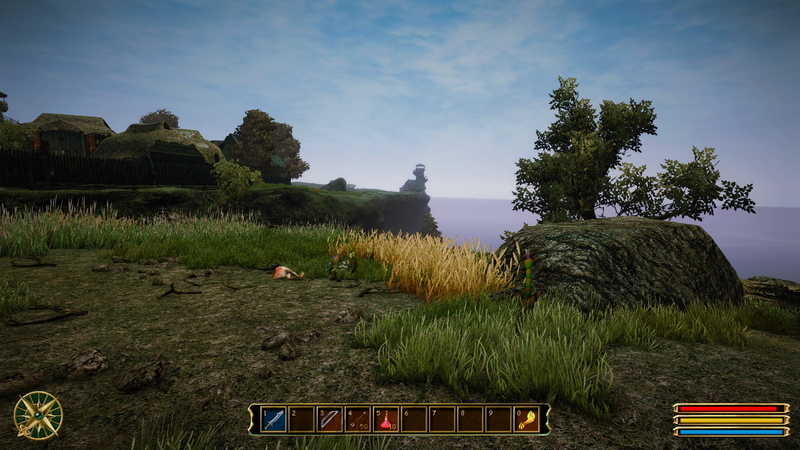 6: Download & apply 4GB Patch (LINK) *This only works on a 64bit OS. It increases stability, but is not absolutely necessary. *I don't know if there is a way to increase application memory on a 32 OS. Google is my best advise. Unpack the file anywhere you like an run it. 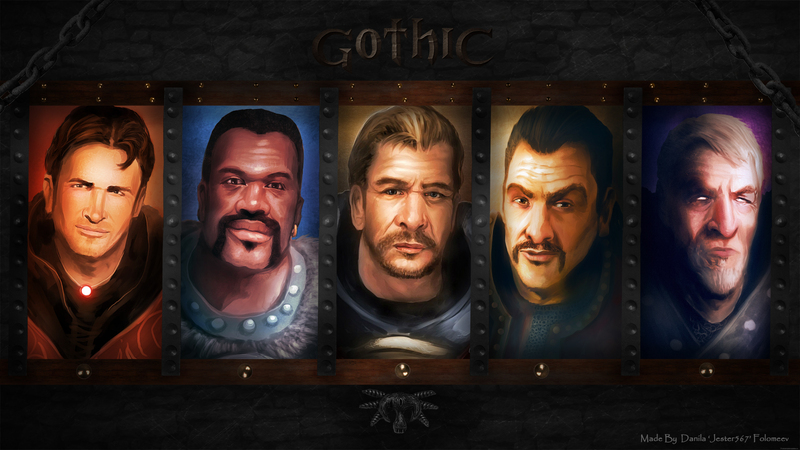 Select "Gothic3.exe", and click OK. If you get a "patch successfully applied" message, you are all done. If you get an error message instead, don't worry. This happens if the OS protects .exe files from being manipulated by other applications. Windows 7 is notorious for this. The workaround is fortunately very easy. Rename "Gothic3.exe" to e.g. 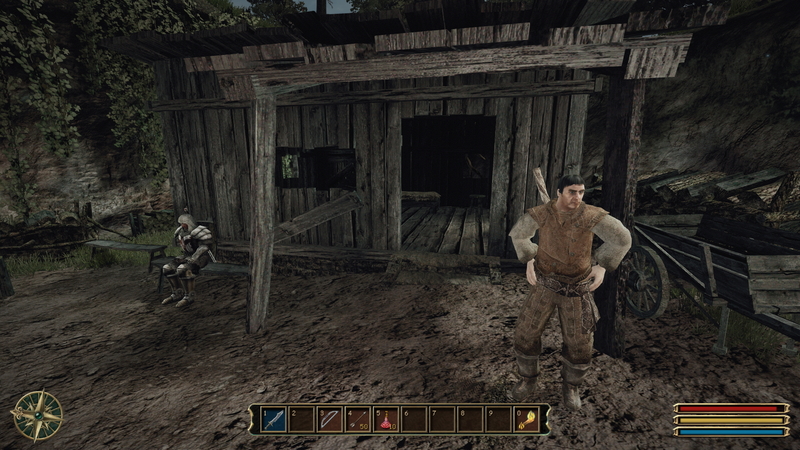 "Gothic3.exe.back" and run the 4GB Memory Patch again. 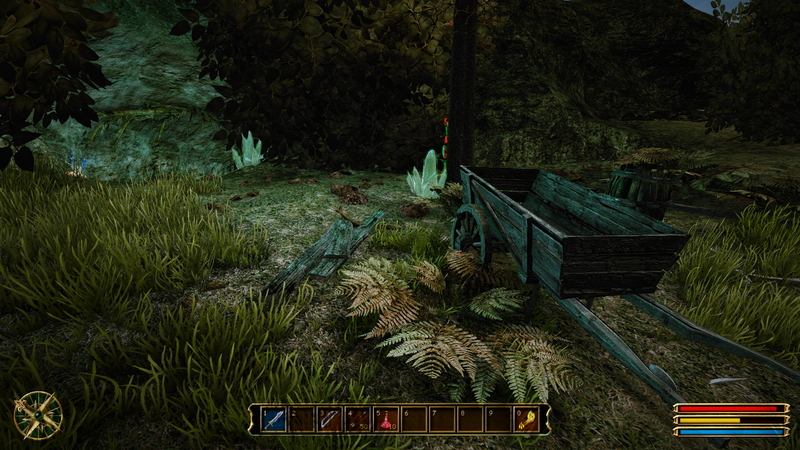 Now select and patch the "Gothic3.exe.back" file instead. 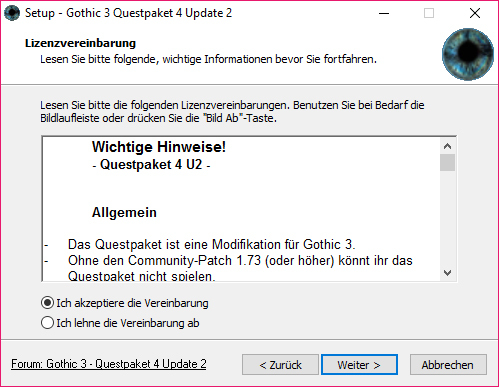 After the "patch successfully applied" message has shown, close the patcher and rename the file back to "Gothic3.exe" - That's it. Windows "super" protection bypassed. *If your firewall or Antivirus complains about the patching, just ignore. 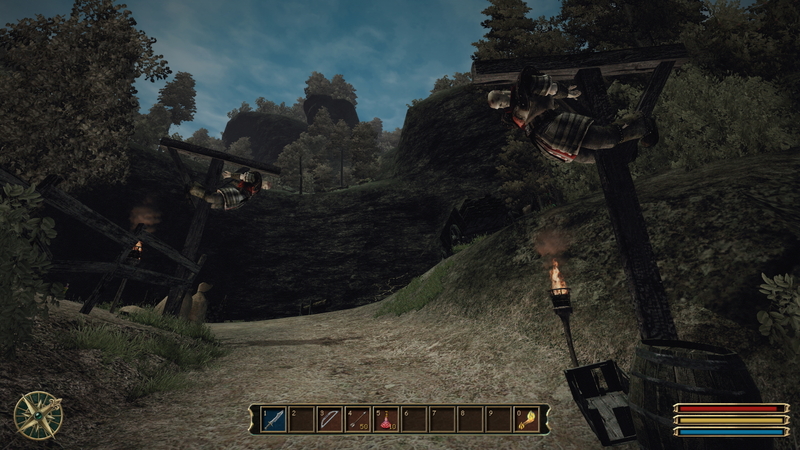 The patch is 100% safe. All it does is change a flag for memory usage. 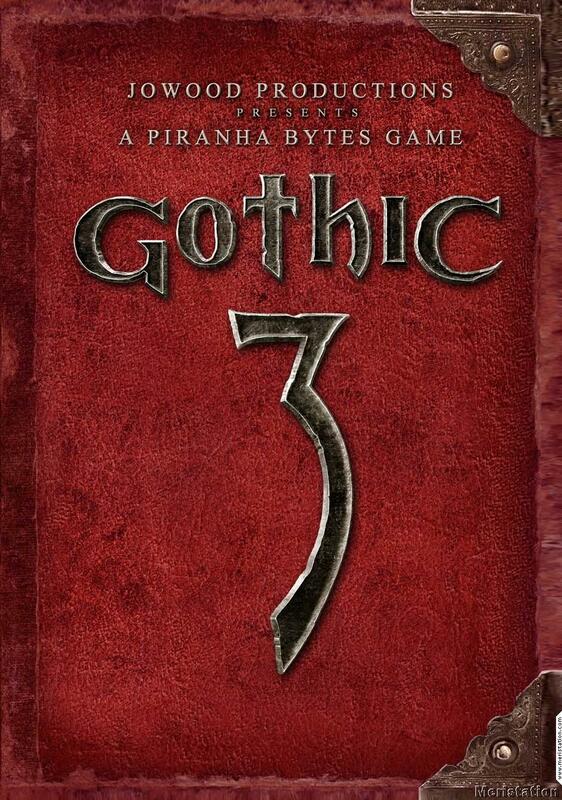 Download and unpack the file into the Gothic 3 game folder. If this doesn't work, then Windows is somehow still blocking it. Search Google for alternative ways of forcing Windows 10 to use custom d3d files. 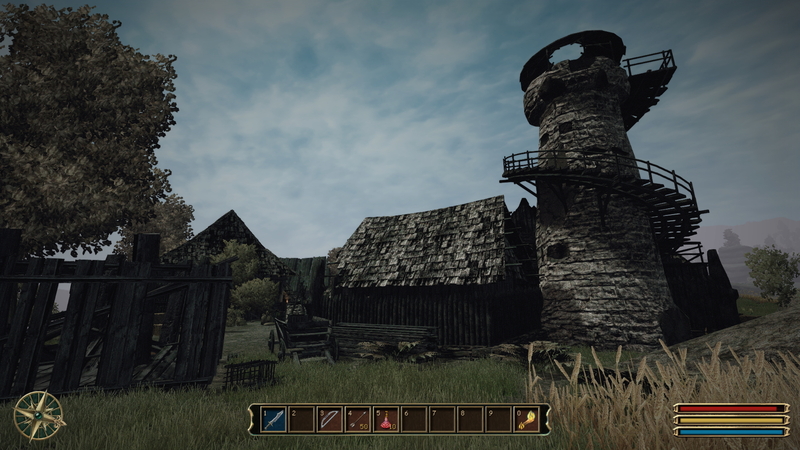 If you are unable to fix it, then you will have to uninstall the ReShade and play without. Just delete the d3d9.dll file but keep everything else. 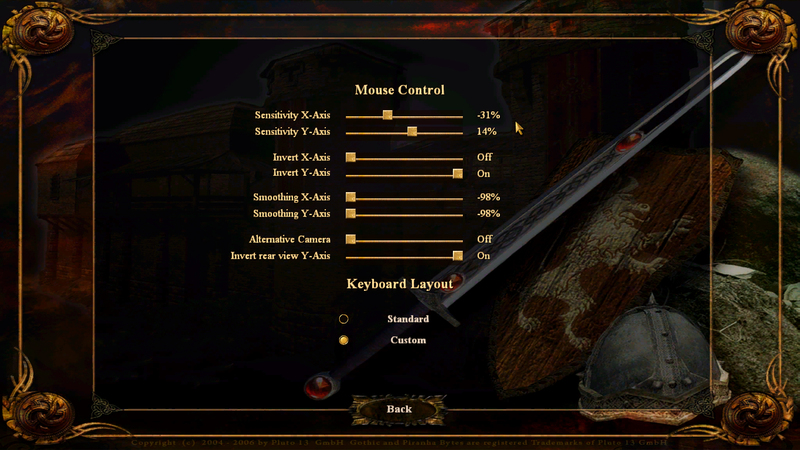 The default mouse settings in Gothic 3 are extremely bad. 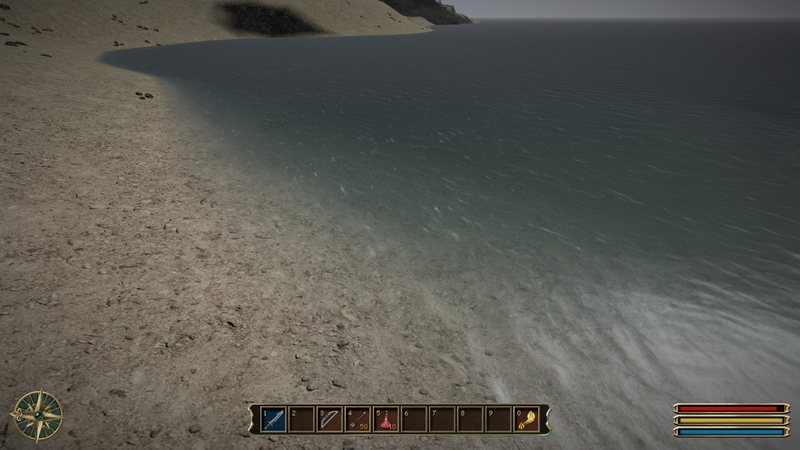 Almost unplayable. X & Y have different sensitivity, and the movement have extremely long lag. 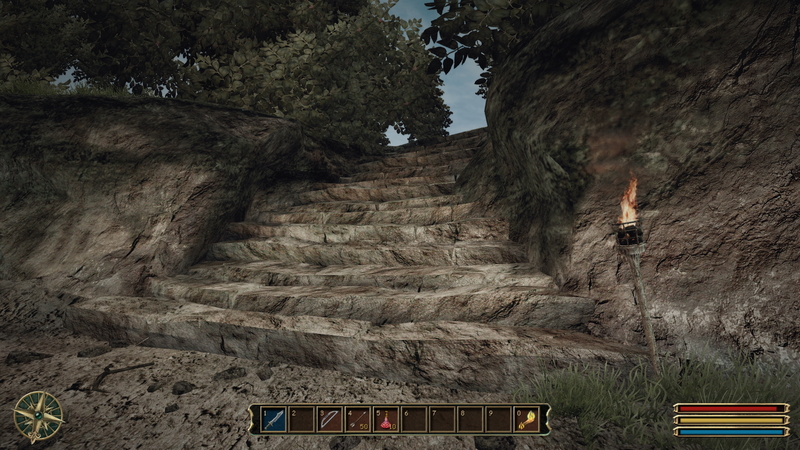 Launch the game, and go to Settings, mouse control. Set the X/Y Sensitivity with a 45% difference, and set Smoothing to -98%. 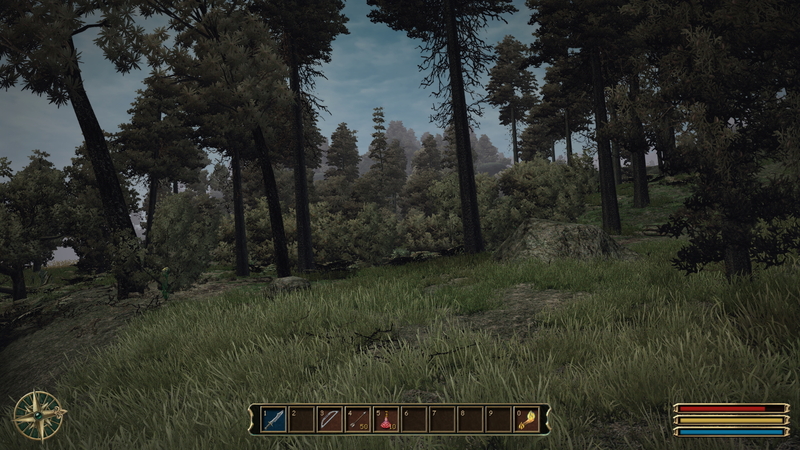 This will restore normal controls. See image. Gothic 3 is a classic open-world RPG, set in the medieval fantasy world of 3 lands. 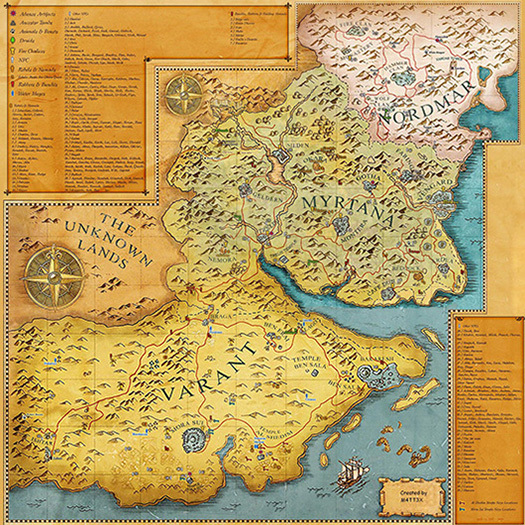 Myrtana, Nordmar & Varant. 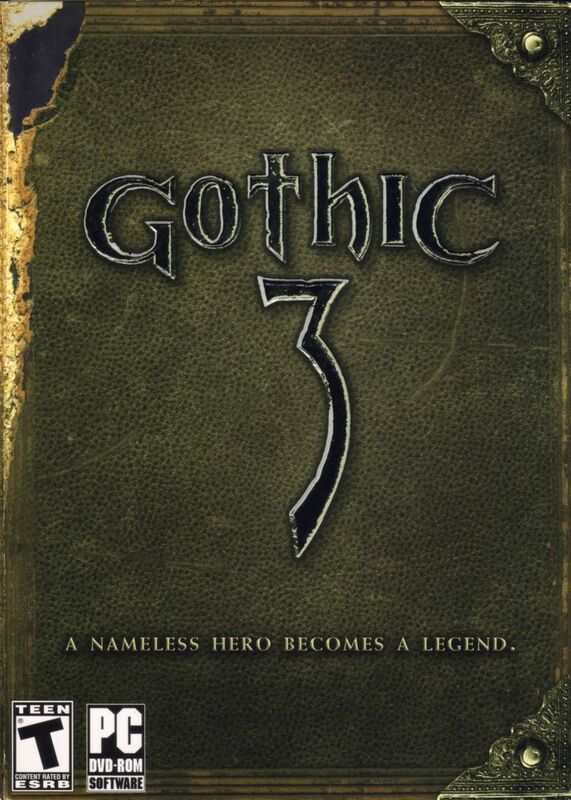 Although Gothic 3 is from 2006, it's still considered on of the best RPGs of all time. Technically the game is not exactly a masterpiece, but the story and lore of the game is amazing. 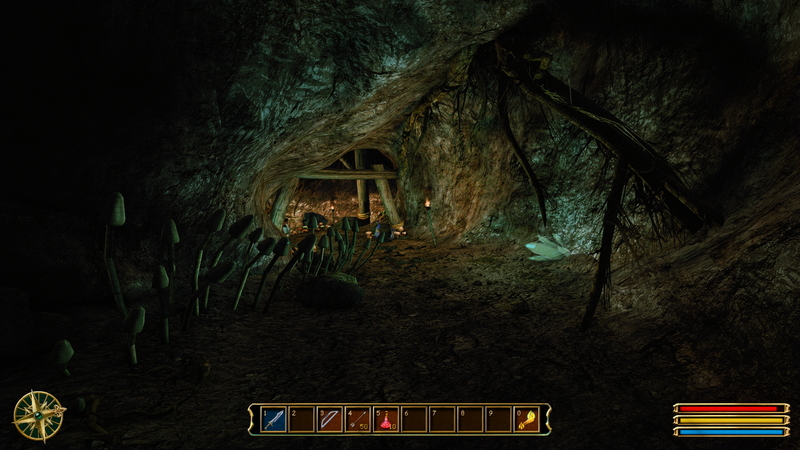 Piranha Bytes originally released the game in German, and 3 months later in English. 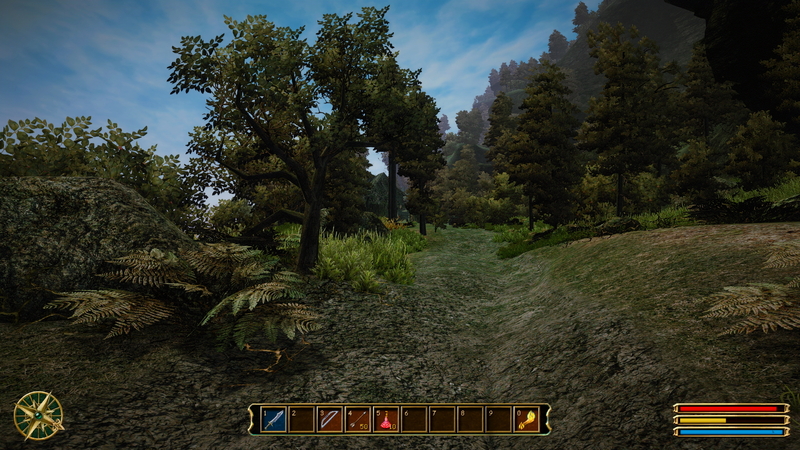 JoWooD Entertainment later released a standalone expansion, named Forsaken Gods. 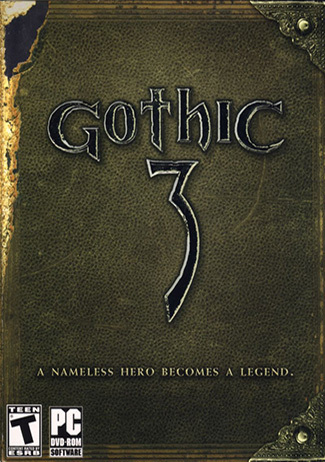 This expansion was however very poorly made, so even though the story had potential, it did not make a great addition, and was therefore not recognized by the Gothic fans. 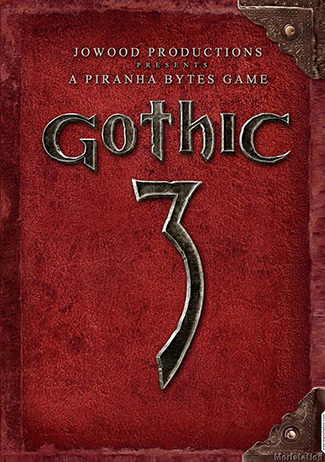 Same goes for the 2010 release of Arcania, which had the sub-title Gothic 4, but it also didn't reach the greatness of Gothic 3 in any way. Gothic 3 takes place right after the events of Gothic 2. The game-play is similar to other RPGs in many ways, but varies a lot depending on which faction the player choose to join. 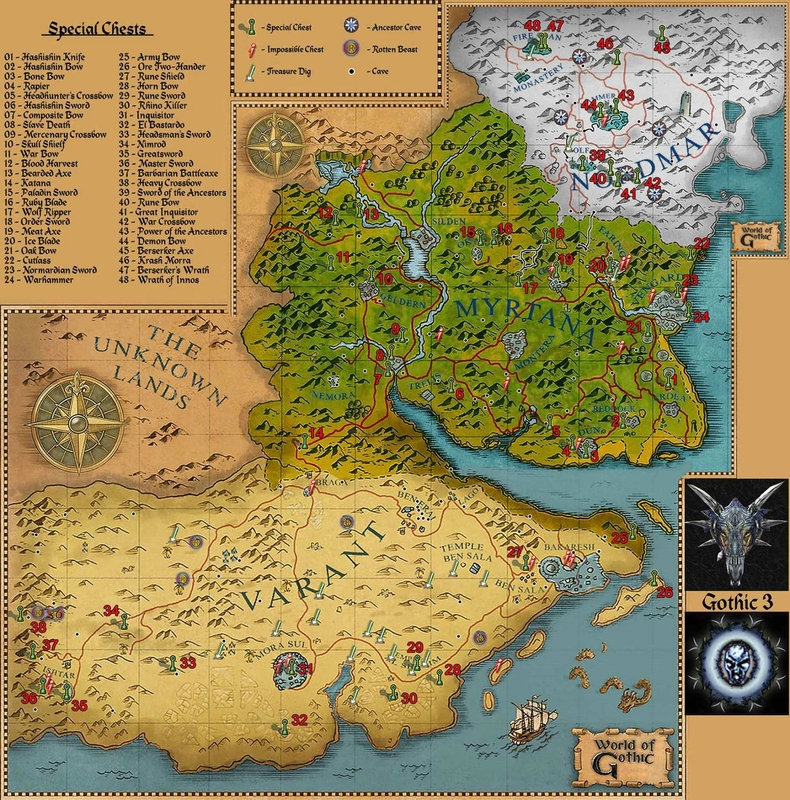 The world has 6 factions, but only 3 are joinable. 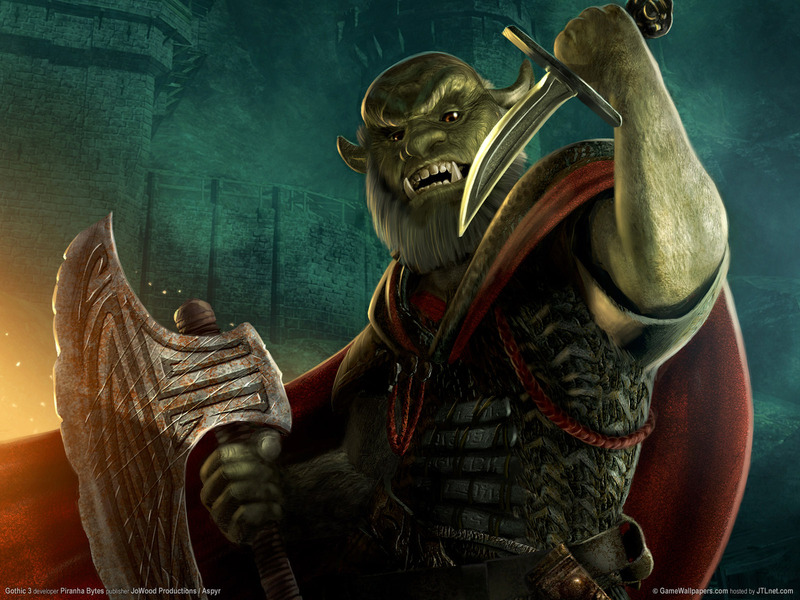 The Rebels, the Orc Mercenaries and the Hashishin. 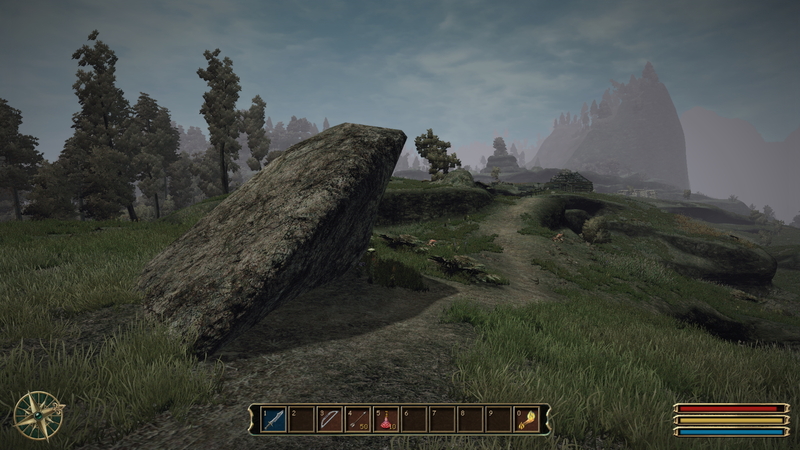 The first part of Gothic 3 is about a city inside a large magical shield called The Barrier. The player meet several characters, and become friends with some. He learns about the plans to summon a beast called The Sleeper, and naturally takes the quest to stop it. 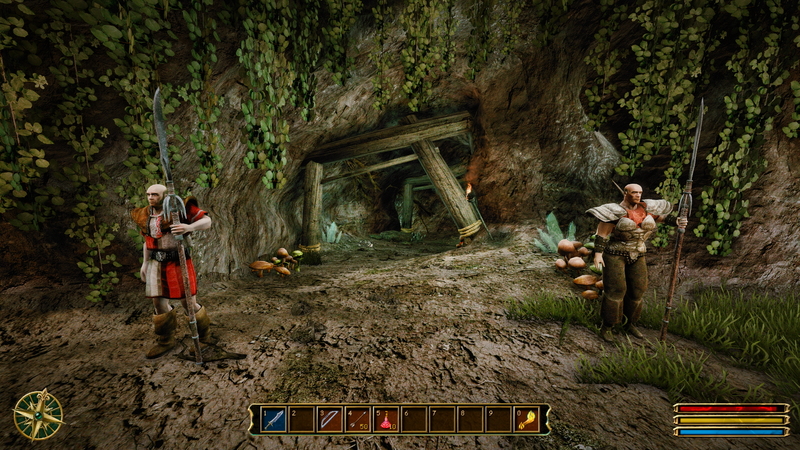 The second part of Gothic 3 starts as the player gets resurrected by Xardas in a new located outside the city of Khorinis. 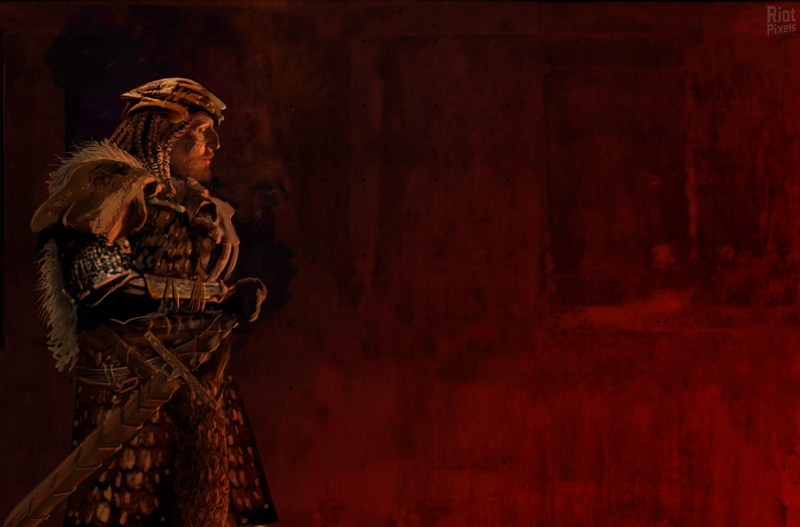 A new task is already at hand, as a great evil threatens Khorinis and all of the lands. 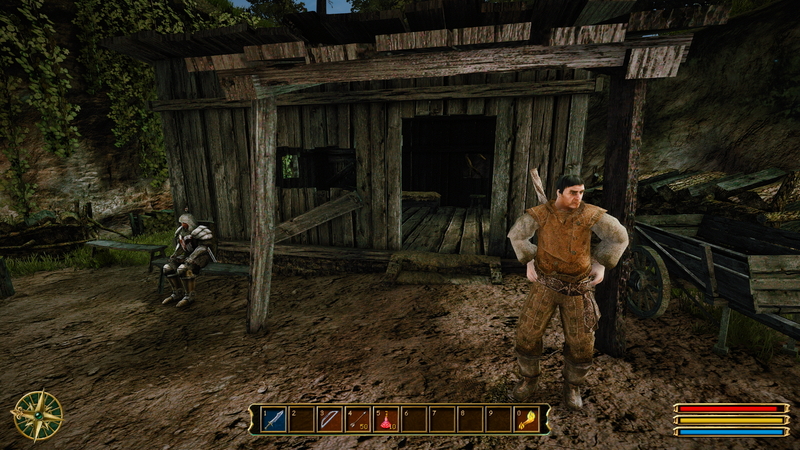 During this new adventure, the player meet with some of the previous characters again, and also new ones. 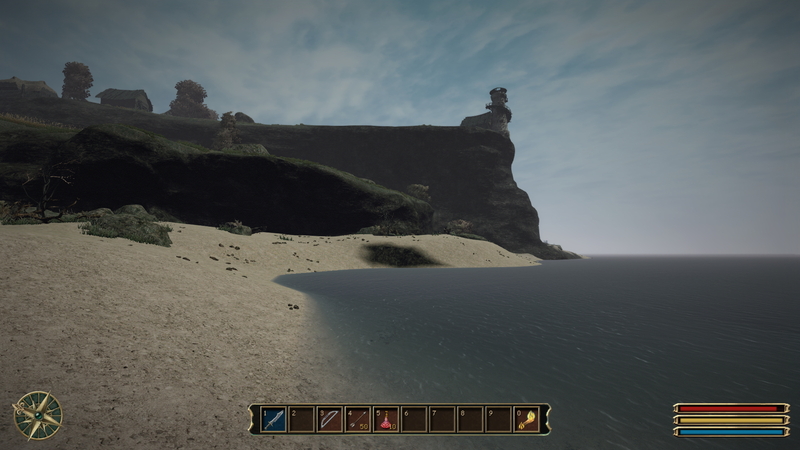 He assembles a small group, and sails to a nearby island to battle a fierce dragon. 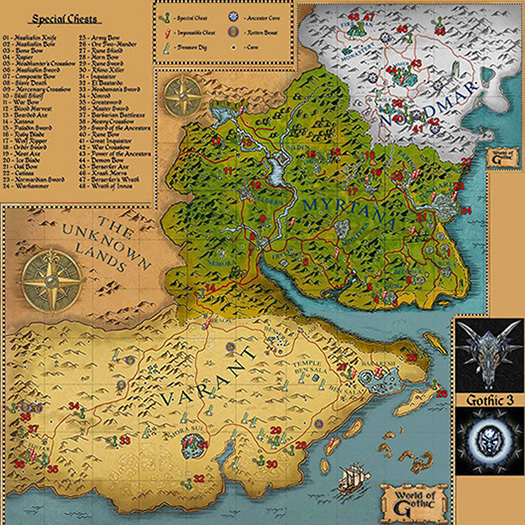 The third part takes place in Myrtana, where the player arrives with his group. This final part is about pursuing the root of the Orc invasion, which takes place in forests and mountains. The Orcs have enslaved most humans, but a few free cities still exist to the north, in Nordmar, and in the southern desert of Varant. 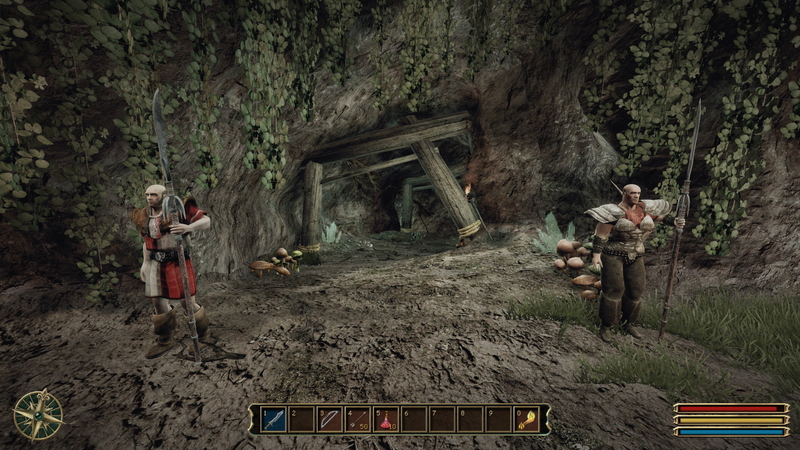 The player must decide whether to join the Rebellion and pledge allegiance to the human king, join the Orcs on their quest to conquer the last remaining human stronghold, or choose to go rogue.